We sat down with Cryotech Nordic to discuss how they are revolutionising a multi-billion dollar market with their industry-changing technology. Cryotherapy has seen dramatic growth in the last decade since its inception over 50 years earlier. The treatment, which involves having cold air distributed around the body at -194°C, is popular with athletes and celebrities alike. With the interest continuing to rise, current systems are faced with a number of issues in order to keep up with growing demand. That’s where Cryotech Nordic (CTN) is stepping in. Having recently created a new HQ in Ireland, CTN is gearing up to become a major player in the cryotherapy space. The Finnish-Estonian incorporated business founded in 2009, is currently revolutionising the cryotherapy industry, creating fully electronically powered systems at a much more accessible price point and technology. In doing so, CTN is removing the need for the fuel that has been powering cryotherapy devices since the 1960s: liquid nitrogen. As the business continues to go from strength to strength, CTN is fast becoming the brand of choice around the globe, with an expansive client basis continuing to grow. “We are a very tight-knit group of high tech specialists,” Jean-Patrick Martins Jnr tells me over the phone from their head office in Vantaa, Finland. “One day we got onto the topic of cryotherapy and noticed that most of the equipment in the industry was outdated.” Since the 1960s, liquid nitrogen has been the primary source of cryotherapy systems. As the gas that is very expensive, not readily available and actually loss making when stored, liquid nitrogen has its days numbered within the cryotherapy industry. It is easy to understand why new technology is therefore needed. “Once we talked more and realised that with our team's skill set, we also realised there was a huge potential to create something revolutionary.” Building on this momentum, the first prototype was built in 2018. CTN unveiled their first localised cryotherapy treatment unit, the X°CRYO™ “marked the first big step towards the end goal: removing liquid nitrogen as an energy source for cryotherapy completely.” J-P E. Martins Snr, Business Advisor and Spokesperson at CTN, states. Being powered completely by electricity, the X°CRYO™ means that the CTN team are well on the way to completely removing liquid nitrogen as a whole. The main challenge that CTN is tackling is the level of accessibility that cryotherapy currently has. With the X°CRYO™, that access becomes available to all those who need it. “Anyone from a massage therapist, beautician, physiotherapist, doctor, dermatologist all had access to cryotherapy unit that can be plugged in the same as a vacuum cleaner” Martins Snr tells me. Coming in 110V and 220V means that these units are portable, cheap to run and, most importantly, much simpler to get hold rather than liquid nitrogen based units. By creating a brand new way of powering the cryotherapy space, and making it more accessible, CTN is turning a market on its head. Cryotherapy units, as they stand, can cost up anywhere up to £459,000 to buy and up to £100 for a three-minute session. With the latest generation of CTNs revolutionary technology, cryotherapy can be accessed by anyone who wants to use it. “The unit means that anyone with a problem, whether it’s dermatology focussed, a recurring injury on your body, or a recent surgery, the X°CRYO™ can help with the healing process” I am told. CTN is already tackling some of the major issues faced by cryotherapy, though the journey to get to this point was not easy. The X°CRYO™ is not the only model in the CTN fleet, however. 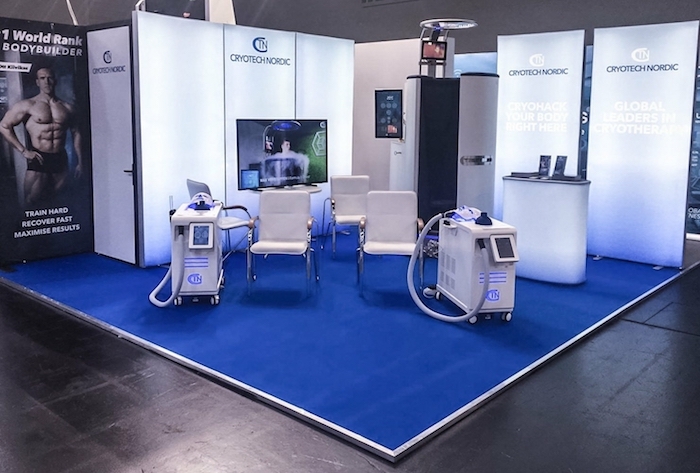 The CRYO°CABIN™, a completely immersive unit for the entire body, has recently been rolled out to the market, receiving enormous success. As well as this, the team has also developed a number of animals including the VET°CRYO™, for dogs, and the EQ°CRYO™, aimed at horses. The various units have received enormous success and have been purchased by royal families, various sports teams and veterinarian clinics around the globe. This is a testament to the versatility and outside the box thinking that the CTN team have. For CTN, this marks an exciting time ahead for their industry but, more importantly, for their development. “That’s partly why we have decided to go ahead with an Equity Token Offering (ETO); we need to ramp up the production, funding and availability around the globe” I am told over the phone. 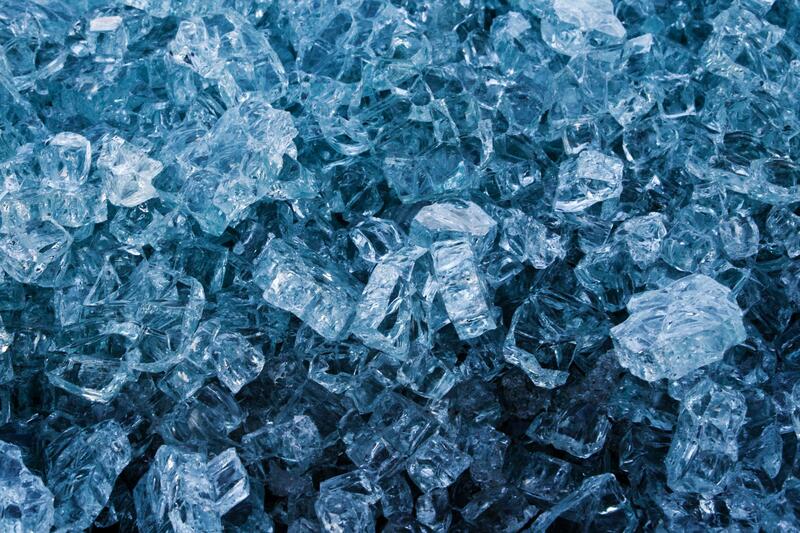 Cryotherapy as an industry is experiencing the largest period of growth it has ever seen. Having had an estimated value of $2.4 billion in 2015, the cryotherapy industry as a whole is expected to have a global value of $5.6 billion according to recent research. As ETO’s and the anticipation around tokenised securities has been building throughout 2018 into 2019, the business decided that it would be the route for them to take when it came to investment. “We were planning to do a private placement round before being issued on the NASDAQ Nordic” Martins Snr explains. Having over 1000 companies listed on the NASDAQ Nordic, it would have been an easier option for the business to be placed on an exchange of this size. “CTN was very grateful for the opportunity from the NASDAQ Nordic” Martins Snr explains to me in a friendly but inviting way. “Why did you choose to go down the ETO route?” I put to him. “Though many great businesses have gone onto list on the NASDAQ Nordic, we felt that we could attract a much higher global investor base by going down the ETO path, giving faster liquidity in the process.” The point, in itself, makes sense. Traditional financial markets lock up VC firms for an average of 8.2 years for an exit at the IPO stage. This means that for investors, they are having to wait far longer in order to receive a return on their investments. TokenMarket recently partnered with CTN to help them along the ETO route, acting as advisors and helping them to issue their tokenised security to the blockchain. Whilst this point is still fresh on the phone, Martins Snr goes onto explain why. “The management believes in two things” I’m told in a firm voice. “One, there will be a revolution within the financial structures currently in place, and two, there will be a greater opportunity for democratised investments for all as a result.” Martins Snr is right. With the cryotherapy industry going through such an extensive growth period, and with tokenised securities being a hot topic, the conversation moves onto a natural question: how will the CTN offering enable cryotherapy to receive mass adoption? Before pausing briefly to form the answer, Martins Snr explains something that gives a certain sense of context. “What TokenMarket itself is doing correctly, and what we resonate with, is seeking control and discipline of a businesses equity” he states. “We think that by using an ETO, we will be able to gather more steam in the market. Of course, it remains to be seen at what pace this new form of democratised investment opportunity will go at, but for us, we are just excited to be at the forefront of this technology” Martins Snr says, and he’s right. The tokenised security and ETO market offers businesses a brand new opportunity to control their equity in its entirety. It also means that investors are given ground floor access to exciting businesses, just the same as VC firms are. Before delivering his answer to the initial question, Martins Snr pauses briefly again and explains how the ETO will help to facilitate a larger adoption of their cryotherapy products. With the conversation coming to a close, the time spent talking to two of CTN’s team has left me feeling positive about the upcoming STO raise. As a business distributing a product that has not yet gone to market to 13 countries, innovating an entire industry by removing an archaic power system and pioneering a new form of equity raise is admirable. Just before we part ways, I think of something Martins Snr had said earlier. “Being a Finnish-Estonian incorporated company, we are in the hub of all that is blockchain and other disruptive technologies. It’s something that we are truly proud of being a part of” I can certainly understand why.